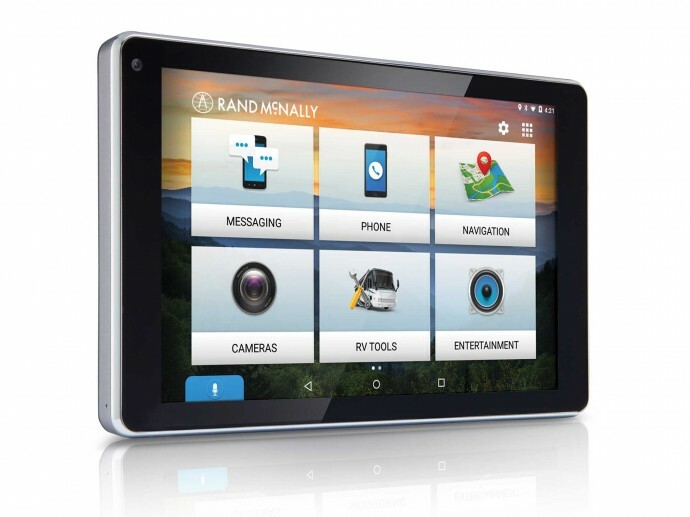 The OverDryve 7 RV features award-winning RV navigation, a high resolution 7" display and connected features like hands-free calling and texting, voice commands, music streaming, and web browsing. Get award-winning, customized routing based on the specifications of your RV. Get RV-specific routing and updates based on the class, height, and weight of your vehicle. Features like Advanced Lane Guidance, Exits Ahead Quick View, and Junction View make it easy to prepare for the road ahead, whether approaching a turn, heading through a complicated intersection, merging through complex interchanges, or searching for the nearest amenities. 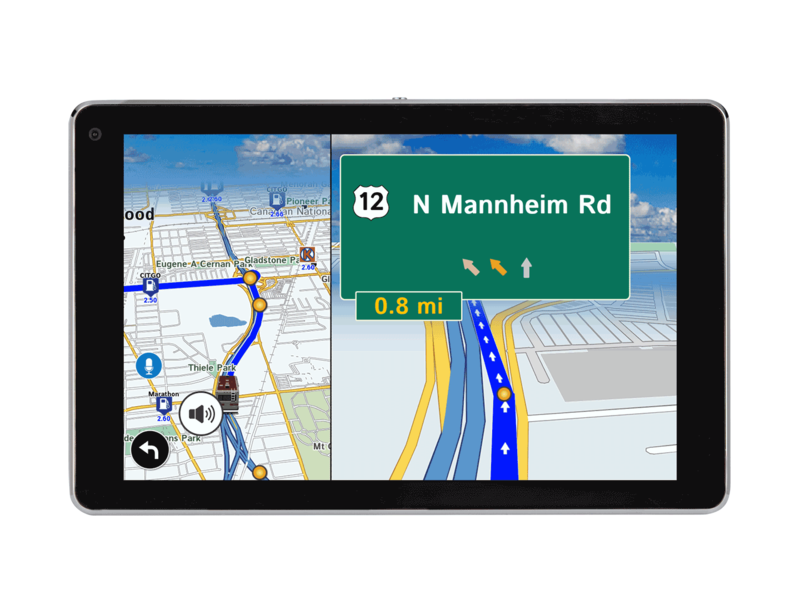 OverDryve 7 RV also features Lifetime Maps and a digital Road Atlas. Make the road your only focus. 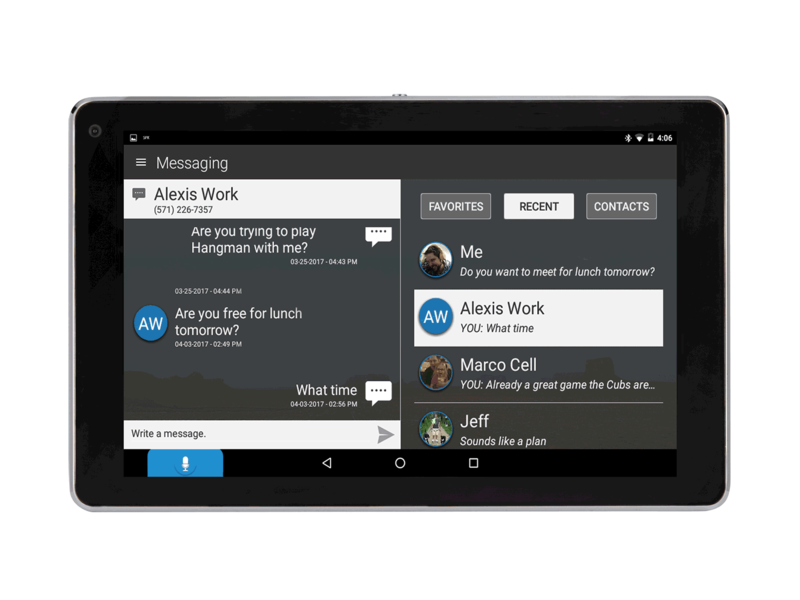 OverDryve 7 RV's voice-enabled features allow you to send and receive text messages, place phone calls, and navigate your route using your voice. 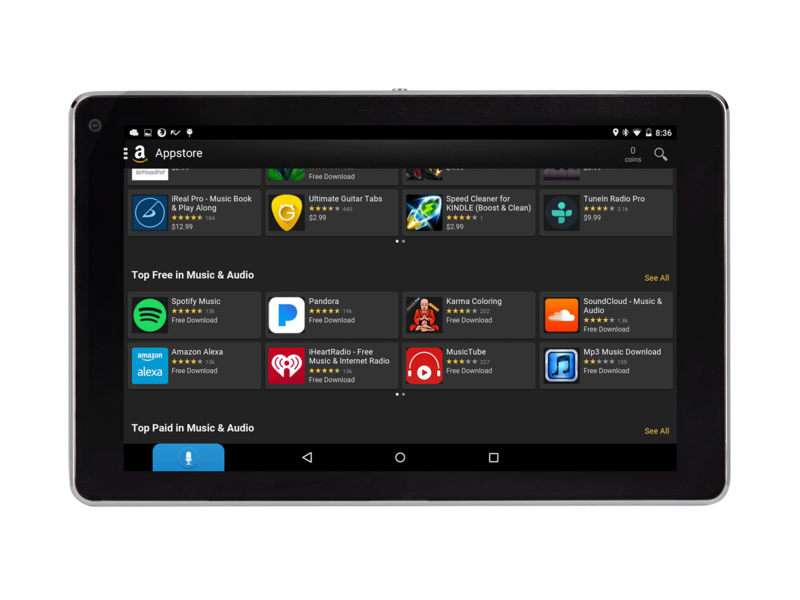 Dowload your favorite apps to stream music and podcasts while on the road. When you're not driving, snap OverDryve 7 off the mount to catch up on email, play games, check your social feeds, and more.